This morning was filled with motions largely by the defense attorneys for Larry and Carri Williams. If you are a witness, and equally emphatically if you are a juror, stop reading this blog and any other social media or news source about the trial. My blog was discussed briefly at this morning’s hearing. I’m now aware of a few things: The attorneys (or their staff or investigators) are paying attention to Facebook postings about the trial. “Monitoring” might be an apt word. A potential witness (I don’t know her) commented on something I posted on my blog. Witnesses should not be reading about the case, or about the motions; the same is true, of course, for jurors. In commenting that the blog writer has been in the courtroom all week, one of the attorneys pointed to me, saying “And I think that’s her!” Another attorney gave me a compliment, saying the blog has been objective. So, I guess I’m in the official transcript now. Please let me say that I fully support and understand the rationale for witnesses and jurors to be as impartial and open-minded as possible. We all want this to be a fair trial. And with that, let me summarize today’s proceedings. Motions this morning covered issues about family dynamics as part of the case offered by the state (the prosecution) around isolation of Hana and Immanuel, about the medical condition of Hana and Immanuel, and much discussion about Hana’s date of birth. Her date of birth is a point of contention: whether the birth certificate from Ethiopia is correct or a made-up date, whether the Williamses chose a date for Hana’s birthday, whether the date on the Certificate of Citizenship is accurate, what documents the Williamses might have placed the date of birth on, including the death certificate. This matters mightily because of the Homicide by Abuse charge. That charge (and its 20+ years of prison penalty) applies for minors under 16 years old. If Hana were to be proven to be 16, the charge would not hold. A number of adoption agency-related issues were discussed, and another adoptive mom and I had a hard time not raising our hands to offer some assistance. She and I talked about the availability of and need for post-adoption services, the responsibilities of both agencies and adoptive parents to know about the services and provide/use them, and the value of the adoption community to adoptive parents, especially those who are struggling. I’ll say more later, not about the motions so much as the value of post-adopt services, and some strategies for accessing and increasing them. After the lunch break, at 1pm, the courtroom was much fuller than it had been all week. The benches were full of people, and the jury appeared from a back room, with badges on and notebooks available on their chairs. Note-taking is optional; all notebooks will be destroyed at the end of the trial. There are 15 jurors, 10 men and 5 women. Given the possibility of emergencies or illnesses, the jury has 3 alternates built-in. At the end of the trial, if there are still 15 people, 3 names will be randomly drawn, and those 3 will be considered the alternates and be dismissed. Rosemary Hawkins Kaholokula presented the Opening Statement for the prosecution. Ms. Kaholokula and Rich Weyrich, Skagit County Prosecuting Attorney, are representing Washington State, and thus Hana and Immanuel. Ms. Kaholokula began by showing a photo of Hana at her arrival at SeaTac Airport on August 16, 2008, noting that less than 3 years later, Hana was dead. She showed a photo of Immanuel as well. She talked about the Williamses’ 5 acres of land, including a barn, and their 7 biological children. She said that the first year and a half or so after the arrival of Hana and Immanuel, things went well, until they went horribly wrong. She stated that the children received not discipline or punishment, but abuse, even torture. Hana started off sleeping with other girls in the one bedroom they shared (the boys had one bedroom also), but because of her behavior, was made to sleep alone in the barn (83 feet away from the house), and then later on the cement floor of the shower room, She apparently had a sleeping bag and pillow there, but the light and the lock were controlled from the outside. When Immanuel was punished, he was removed from the siblings’ room and made to sleep in the shower room. Hana was then made to sleep (unclear how often, though possibly 23 hours at a time) in a closet that was 4 feet 3 inches tall and 2 feet deep. Hana was 5 feet tall at the time. The light and lock were also controlled from the outside. She had slept in there the night before she died. Ms. Kaholokula said that Hana and Immanuel were also hit with a switch, on their bottoms and thighs. Immanuel was once hit by Larry Williams with a wooden stick until he bled. The severity of the beatings increased as time went on. In addition to isolation and beatings, Hana and Immanuel were punished at mealtimes. They often ate their meals not at the big family table, but outside at a picnic table. They would be given cold leftovers, with frozen vegetables on top, or wet sandwiches. Food would also sometimes be withheld entirely. Within the last year, Hana lost 25% of her body weight, and weighed about 80 pounds at death. The Williamses also set up a Honey Bucket or Port-A-Potty outside the barn, exclusively for Hana, because she did not maintain proper hygiene standards, according to Carri Williams. Hana had Hepatitis B, and contact with her blood (during menstruation, for example) could endanger the other children. Hana also had to shower outside, using a garden hose; privacy would depend on what the family agreed to. 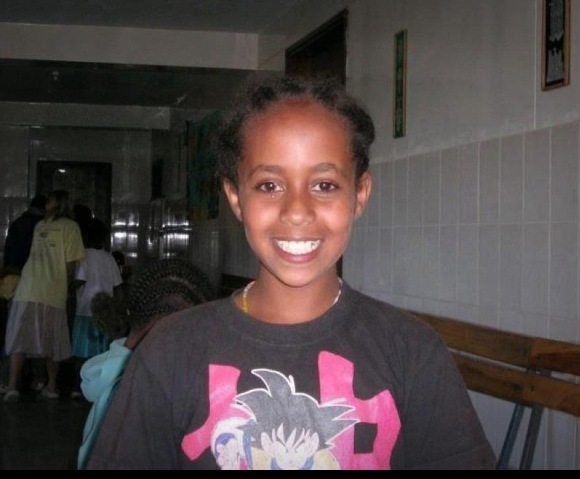 Hana, like most Ethiopian girls, had braids when she arrived. The Williamses shaved Hana’s head 3 times in the 2 and a half years before she died: once for lice, once for a fungal infection, and once as punishment. What were the children punished for? According to the prosecutor, transgressions included bad handwriting, incorrect math problems, a badly made bed, clothes on the floor, and stealing food (such as sweets or other treats). Ms. Kaholokula then described Hana on the cold, drizzly night she died, just after midnight on May 12, 2011. Hana was again punished and made to stay outside, and at some point essentially began to lose control of her body from the effects of hypothermia. She took her clothes off, one of the odd manifestations of hypothermia as the brain becomes confused and starts to lose consciousness. She stumbled and fell down. Carri Williams, who had been watching from inside and had been trying to get Hana to go inside (Hana had refused), went outside. With the help of her children, she brought Hana in, called Larry Williams, then called 911. Hana was dead by the time she reached the hospital. The prosecution then told the jury that additional evidence would be shown to find Larry and Carri Williams guilty of homicide by abuse and manslaughter in the case of Hana, and assault in the first degree in the case of Immanuel. Carri and Larry Williams each have two public defenders. Carri’s lawyer began by describing Hana’s last night, saying that Carri made several attempts to get Hana to go in, and left out clean dry clothes for her. Carri asked her 3 teenage sons to bring Hana in, but Hana dropped her pants, and the boys went back in. Daughter Kara saw Hana face down, and Carri went out to check on Hana. She went back in to get help, brought a sheet out to cover Hana, and they brought Hana back into the house. The lawyer said that we are not here to argue that Carri Williams was appropriate with punishments or that her discipline techniques were good or appropriate. Yes, the discipline was excessive, but was it substantial bodily harm? Carri Williams had always wanted to be a mom and have a big family. She was also passionate about American SIgn Language, and had studied that in college. She and Larry had 7 children by the time Immanuel and Hana were adopted. They were very religious. Carri homeschooled all the children, and Larry worked Monday through Friday at Boeing, from noon to midnight. Carri’s lawyer responded to many of the points made by Hana’s lawyer: None of the other children saw the bleeding that Immanuel alleged had happened when Larry hit him on his head. Hana and Immanuel had to sleep in locked rooms because they kept taking junk food. When Hana was menstruating, she had smeared blood on the bathroom wall, and that’s why the outdoor toilet was brought in for her. While Hana and Immanuel were given leftovers as punishment, they were normal portions, and not old or spoiled. The trial, Carri’s lawyer said, was not to see if Carri was Mother of the Year, but to see if Carri caused Hana’s death and assaulted Immanuel. The jury was there to see if the facts meet the legal definition of a crime. They agree that the discipline was excessive, but was it truly a crime? The final Opening Statement was by Cassie Trueblood, the defense lawyer for Larry Williams. She talked about the 9 children, and how Larry was the breadwinner while Carri handled things in the home. She went through the typical daily schedule: the kids got up around 9am; Larry and the older boys cooked breakfast (often pancakes), and then Larry went to work. The kids all cleaned up, then did chores and worked on school assignments (reading, math, sign language). They prepared lunch, cleaned up after, then read Bible stories, played inside games, and finished school work. They had dinner around 6:30 (the lawyer mentioned burritos and soup), cleaned up, maybe watched educational videos, and went to bed. The older boys would stay up until their dad got home around midnight. It was, the lawyer said, a very close, highly structured family. Carri Williams wanted to provide a peaceful home for Larry. There were strict rules, and it was very important for the children to be obedient. The Williamses now wish that they had not made some of their parenting decisions, including the outdoor toilet for Hana. The lawyer said that Hana, like the other children, was clearly told what she needed to do to earn back certain privileges. Hana and Immanuel became quite oppositional in the last year with the Williamses. Larry and Carri used spanking as discipline, but had begun to disagree about the effectiveness, sometimes fighting in front of the children. Larry, said the lawyer, would sometimes give the kids big scoops of ice cream. Ms. Trueblood finished with a description of the efforts to document Hana’s age, noting that Hana’s body was exhumed in January 2013, but dentists and radiologists could not say with certainty that Hana was under 16 years of age. She also said that Hana’s weight loss was due to intestinal parasites and H. pylori, a bacterial infection causing great stomach discomfort. Hana’s last night was spent outside, but at no point was the door locked, said Ms. Trueblood. At no point did Larry Williams know the severity of Hana’s behavior that night, until Carri called him as he was driving home from Boeing and he told her to call 911. Both parents worked to provide CPR to Hana. Ms. Trueblood noted that all the children were placed in foster care a few months after Hana’s death, and have not seen their parents since then; many of the children will be testifying at some point during the trial. She said that the jury had to consider bad parenting versus criminal behavior, reminded them about Larry and the scoop of ice cream, and urged them to find Larry not guilty. The judge announced that testimony would begin on Monday July 29 at 9am, when Immanuel will testify, using a certified ASL translator. It is unclear what other witnesses will testify. Off and on, Carri Williams wept during these Opening Statements. She wasn’t the only one. Jury selection was completed this afternoon, and the jury has been sworn in for the Larry and Carri Williams’ trial. The fact that 3 1/2 days were used for the jury selection tells us how serious the process is. Superior Court Judge Susan Cook spent several minutes instructing the jury on their obligations now not to talk about the case with anyone, not to look at any social media or newspapers that might have articles about the case, or read any information source regarding the case. The jury has now been dismissed until 1pm Friday July 26, when the opening statement by the prosecution and defense will take place. This afternoon was taken up with motions by the prosecution and defense attorneys regarding what information will be admissible during the trial. There are dozens, maybe even hundreds, of motions that have been considered so far. Additional motions will be considered Friday morning. By the way, anyone who wants to look at the motions and other documents that have been filed in regard to this case can do so at the Court Clerk’s office of the Superior Court House. The information is available for a fee. Sometimes the documents have been redacted, meaning that information has been blacked out. I feel certain that there will be a fair amount of media as well as many other spectators at tomorrow’s opening statement. My suggestion would be, for anyone who plans to attend, to arrive early (before 1pm) if you can. 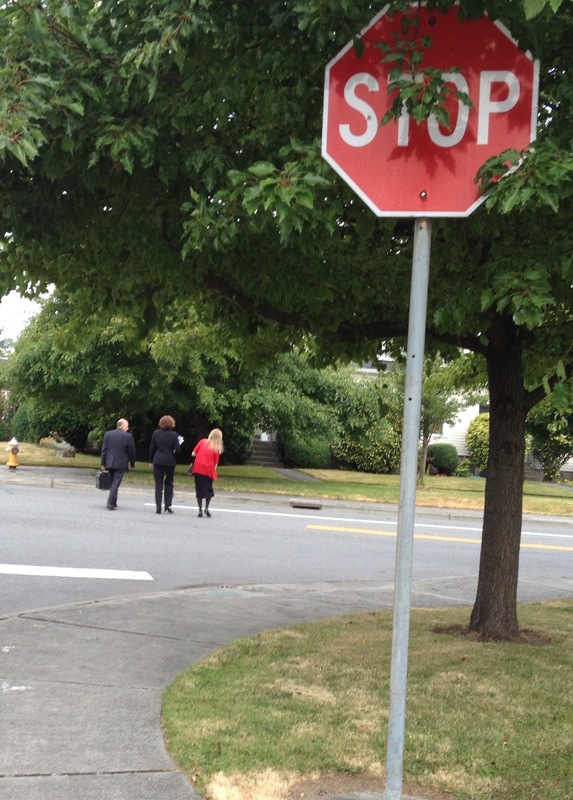 The address for Skagit County Superior Court House is 201 West Kincaid St., Mount Vernon, WA. From I– 5, take exit 226 for Kincaid Street. The drive is about 55 miles from north Seattle. The good news is that, driving north from Seattle, you will be going against traffic. To sum up: Tomorrow morning will be continuing motions before the judge by the prosecution and defense attorneys. Opening statements by the attorneys will begin at 1pm in Courtroom number two. Testimony for the trial will begin on Monday morning (July 29), and is expected to continue for 4 to 6 weeks. I will be there tomorrow for the opening statements. I plan to write more this weekend about the various motions, and about the jury selection process. It’s been fascinating, detailed, and messy: let’s hope it results in justice for Hana. Another long day of jury selection. The lawyers focused in the morning on issues of reasonable doubt, burden of proof, and spanking, asking the jurors their thoughts on these subjects. The afternoon included discussion (in a general way, no specifics have been introduced about the case yet) of homeschooling, religion, spanking (again), food deprivation, and the possibility of looking at photos of a dead child and of the child’s autopsy. Many jurors were visibly moved by the discussion, especially those who hadn’t known about the case and were now getting a strong sense for what could be ahead. The lawyers will give their opening statements starting at 1pm on Friday (7/27), and then testimony will begin on Monday (7/29). 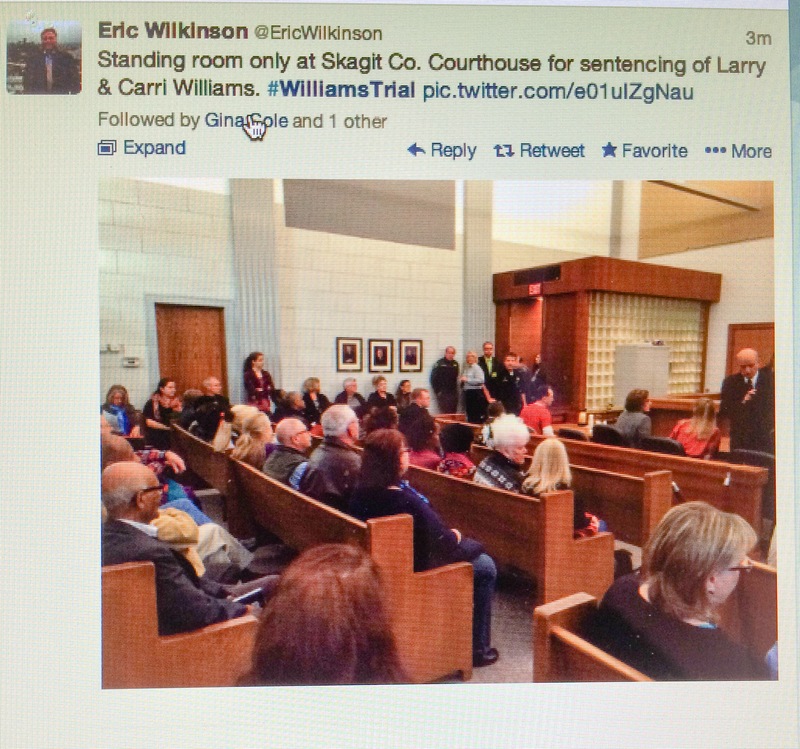 All of this will take place in Skagit County Superior Courthouse, Courtroom 2. While this timetable could change, my sense is that the lawyers and judge are ready to get going. It will be a long road ahead of 4 to 6 weeks of witnesses, testimony, and evidence. I am guessing more media will appear on Friday, and I am hoping folks from the Ethiopian and adoption community will join us in the courtroom as the trial begins. The right side (as you face the judge) is the prosecution side. It’s not a huge courtroom; plan to arrive early. Hoping for justice for Hana.